Gainesville, GA –King GREEN was named a Best of 2012 winner in Gainesville Lawn Care & Grounds Maintenance on Kudzu, the leading source of local business information and consumer reviews. Over 5 million businesses competed across 30 categories, and winners were awarded based on the highest number of votes received on Kudzu.com. “We are honored to receive this award. 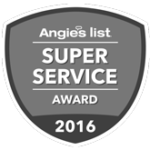 It is an especially important award because we were chosen by our customers, both past and present. Thank you to everyone that took the time to vote.” Jennifer King, King GREEN. King GREEN is a locally owned and operated business offering lawn care and tree & shrub care. King GREEN celebrated its 25th anniversary last year. We’re proud to provide the “Finest Service Available” with offices located in Gainesville, Watkinsville, Norcross, McDonough, Marietta, and Charlotte, North Carolina. Kudzu helps consumers research and evaluate services and choose highly rated providers in their area. Kudzu.com features expert videos, business profiles, consumer reviews and 30,500 money-saving deals for homeowners in every major U.S. city. Kudzu.com is owned by Cox Search Inc., a subsidiary of Cox Enterprises, a leading communications, media and automotive services company. Cox’s businesses include Cox Communications, Manheim, AutoTrader.com and Cox Media Group. For more information, visit https://www.kudzu.com. This entry was posted in Articles, King GREEN in the News and tagged news. Bookmark the permalink.